In some areas, such as dry or mountainous landscapes, well water can be incredibly deep, making it difficult for residents of these areas to access clean drinking water. 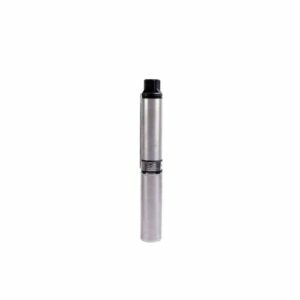 While most surface pumps are restricted to well depths of 25 feet, and sophisticated jet pump designs reach only about 120 feet, the submersible well water pump allows wells to be drilled 400 feet deep to find good water. The submersible pump can deliver this water to the surface almost as easily as turning on a faucet at the kitchen sink. Submersible deep water pumps, like this 1-HP model, are designed to fit inside a steel well casing and be lowered into the water at the bottom of the well. The submersible water pump is an outgrowth of well-pumps invented for the oil business around 1920. While the design is still used for pumping oil, the stainless-steel version designed for water wells wasn’t refined until the mid-1960s. But what a refinement it was. It immediately made potable water affordably available to many parts of this country where shallow wells weren’t very successful. Well pressure/storage tanks are installed on the surface, usually in a basement. They are designed to hold the water pumped from the well for use in the home. Once inside the house, the well tubing fills a pressure tank that is regulated by a pressure switch. This pressure switch is mounted on the well pipe where it enters the tank. When water is used in the house, the pressure inside the tank decreases, which causes the pressure switch to call for more water from the pump. It starts pumping and fills the tank until the preset maximum pressure is achieved. Then it shuts off until the pressure goes down again, and the cycle repeats. Fortunately, there’s a lot of good news about submersible pumps. They’re long-lived (often 20 to 25 years), trouble-free (most pumps are seen only twice in their lives, once when they are lowered into the well and once when they are taken out for replacement), they are pretty efficient (so they have a low impact on an electric bill), and they’re quiet (both because they are usually well designed and built, and because they are working several hundred feet underground). Unfortunately, this good news comes with a little bad news. When the pump stops, everything that uses water stops, from drinking to cooking to laundry to bathing to dishwashing. Because so much of life involves water, a house is almost uninhabitable without it. It’s essential to know the early warning signs of pump failure. 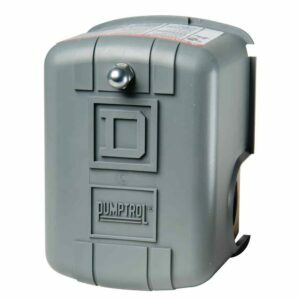 The submersible pump pressure switch, located on the well pipe where it enters the storage tank, senses changes in water pressure inside the tank. When water has left the tank, the pressure is lowered and the switch turns the pump on to replace the water. The clearest sign of possible pump failure is, of course, when you turn on a faucet and no water comes out. This could certainly signal other issues, but the problem may be with the pump. If this happens, first make sure that the circuit breaker that protects the pump is on. If not, turn it on and see if the water works. If the breaker is on, trouble could come from the pressure switch on the storage tank. This should be checked out by a professional. Abrupt pump failures are not as common as problems with the well itself. In drought conditions, especially in late summer, the water table in your area may be especially low. Check for this by not using water for several hours, then turning the water on and seeing if it works properly. If it does, the well just needed some time to replenish itself. The water table should come up again in the fall and winter, but may go down again. One common way to combat this is for a well-driller to lower the pump farther into the well, where the reserves may be deeper. If the water from the well starts to look cloudy or slightly muddy, this means that sediment is in the well where the water is drawn. This can happen for a number of reasons. But pumping this water for even a few weeks can cause heavy pump damage, because the grit is very corrosive. This can be fixed by lowering the pump deeper into the well. If you can’t clear the sediment by lowering the pump, usually a new well must be drilled. Sputtering or spitting water from a faucet could signify a failing pump—either due to a broken check valve (valves that are mounted on the pump that keep the water in the well pipe from draining out once the pumping stops) or cracked water pipes. These can only be identified once the well is pulled. Another good indicator of a failing pump is an electric bill that is increasing dramatically for no apparent reason. A pump that runs all the time can be failing, as can the pressure switch on the storage tank. There’s not much maintenance that the average homeowner can perform on a submersible pump. Any problems that do occur, happen down in the well. 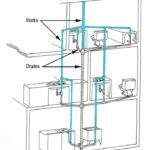 But there is one important maintenance job a homeowner can do: Schedule a well-system inspection (pump, pipe, fittings, tank, pressure switch) every year or two. This might cost around $200 but should keep everything running smoothly between service sessions. It may be great that these pumps are out of sight for so long and therefore not something you worry about all the time. But when they have problems, most of the trouble is out of sight too, at the bottom of the well. And dealing with these problems almost always requires “pulling the well," which means pulling up and out all the water pipe (that runs from the pump to the surface), and the pump that’s attached to the bottom end of this pipe. Depending on how deep the well is, this can be a lot of weight. Can inveterate do-it-yourselfers do this job? Yes. But everyone else should call in a well-driller or a plumber who specializes in pulling wells. These people have the equipment that makes this job much easier and safer. And just as important, they have the expertise to diagnose the problems that are at hand. As for repairs to the pressure switch, while they are not complicated, they are also not especially intuitive. 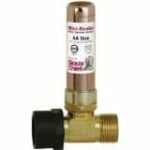 Adjusting (or replacing) a pressure switch is best left to a professional. Repairs can be expensive depending on the problems that are found. If the pump is dead, replacing it can cost many hundreds of dollars. A large pump for a 3 1/2-bathroom house can be $1000. 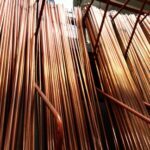 When you add in the cost of new plastic pipe, fittings and well seal (+/- $700), and typical labor (+/- $700), the charge can be up around $2,400.00. This is a big hit to most budgets. But as big a problem as this cost can be, the inconvenience can be much worse. Know the signs of a failing pump to stay ahead of problems before they start. Steve Willson owned and operated his own carpentry contracting business in Rochester, New York before joining Popular Mechanics magazine, where he was their home improvement editor for 22 years. Steve is the author of three books and has edited or rewritten 11 books on various home improvement, plumbing and tool-use topics. 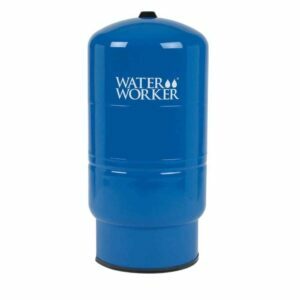 He is also a writer for the Home Depot, who carries a wide selection of the kinds of submersible water pumps Steve talks about in this article.